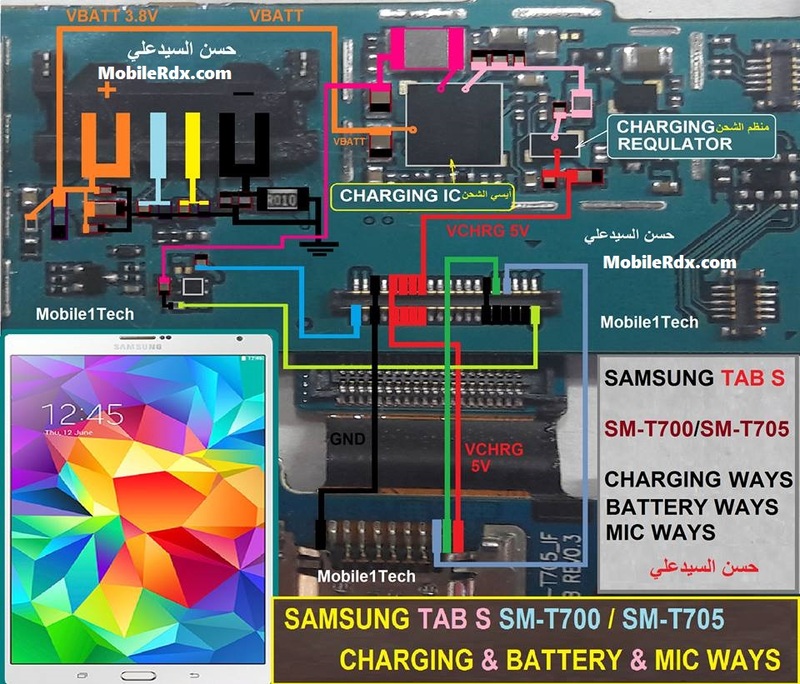 Samsung Galaxy Tab S T700 Charging Ways Charging Jumper Here is the solution for Samsung T700 Not Charging problem like there is No Charging indication shows on the display when the battery charger is being a plug-in. This problem is may cause by a faulty charger or faulty components on Samsung Galaxy Tab S T700 PCB board. This problem may sometimes happen if the device suffered wet or water damaged or just exist. Check all the components shown on the image below. If Problem Still There Then Disassembly Samsung T700 For Charging Problem Solution. After Disassembly Clean Samsung Galaxy Tab S PCB Layout With C.T.C Cleaner And Remove Charging Port. Charging Port Wash Properly With C.T.C Cleaner After Clean Charging Port Of Samsung SM-T705 Put Again. Check For Problem Resolved If Still There Then Replace Charging Port Of Samsung Galaxy Tab S T700 For Complete Solution Of Samsung Samsung Galaxy Tab S Charging Pause, Battery Temperature Too High.